Well, it’s been just over a week now since we have been back from Japan. Back to work and back to normal life. 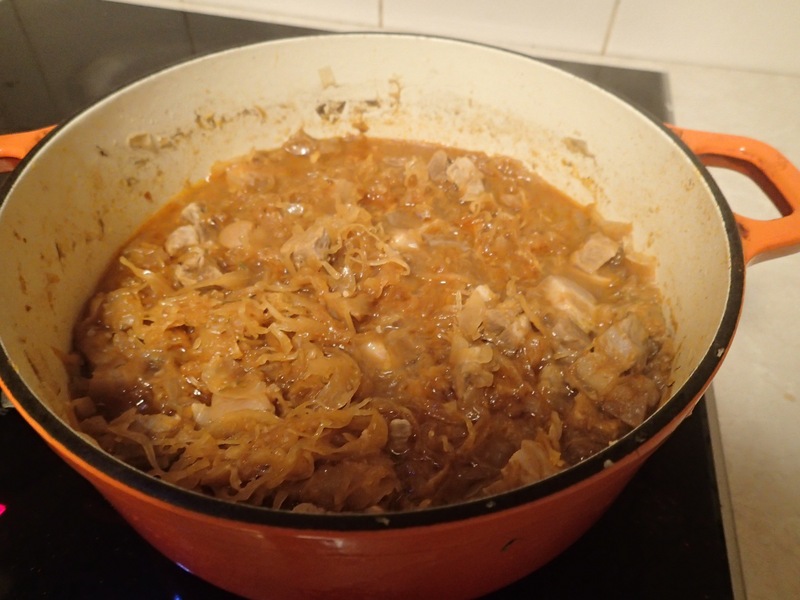 It’s been good getting back in to the kitchen though, I do miss cooking and there is only so long you can live on food prepared by someone else, not matter how good it is. It’s been cold and rainy almost every day since we’ve been back, I’m hoping the sun will return sometime soon. 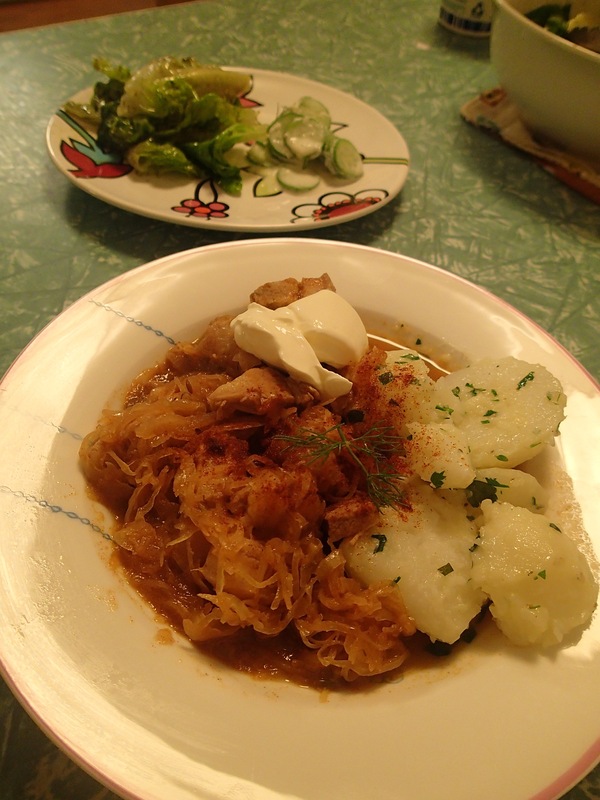 I cooked up a big pot of pork and sauerkraut goulash. 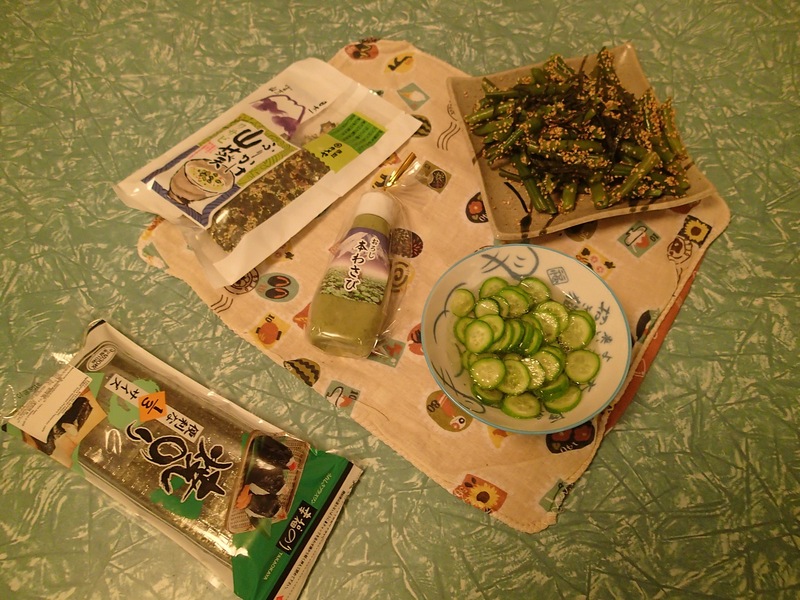 It was so delicious! 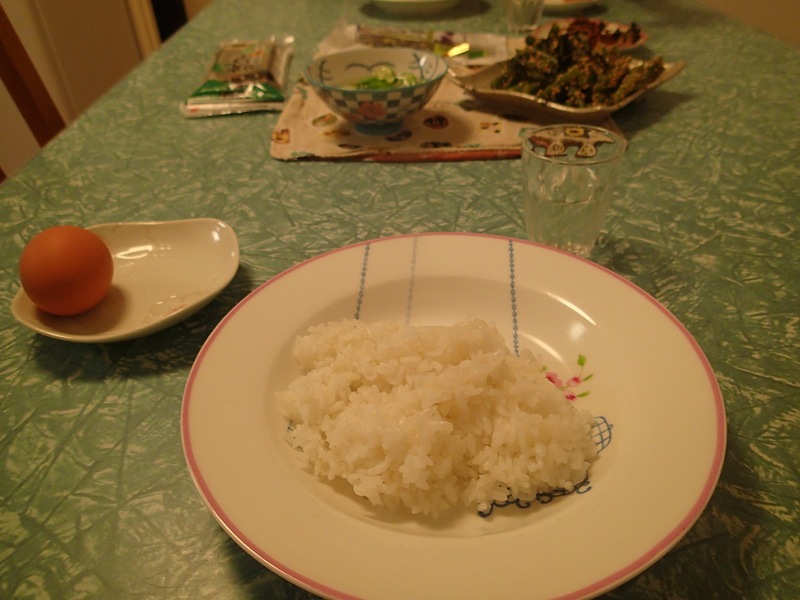 Then, the next day, as I hadn’t been to the shops properly I made rice and a few Japanesey bits and pieces. 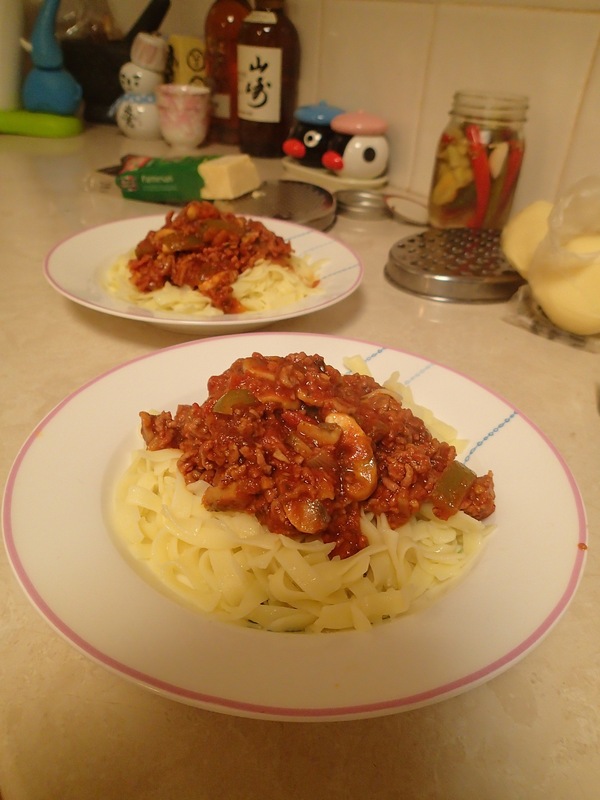 After that it was spaghetti bolognaise. 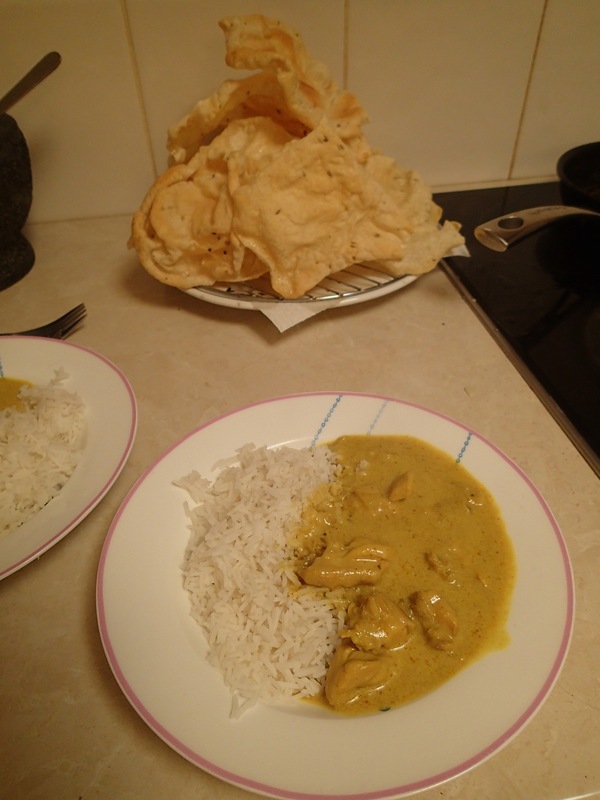 A chicken and coconut curry. 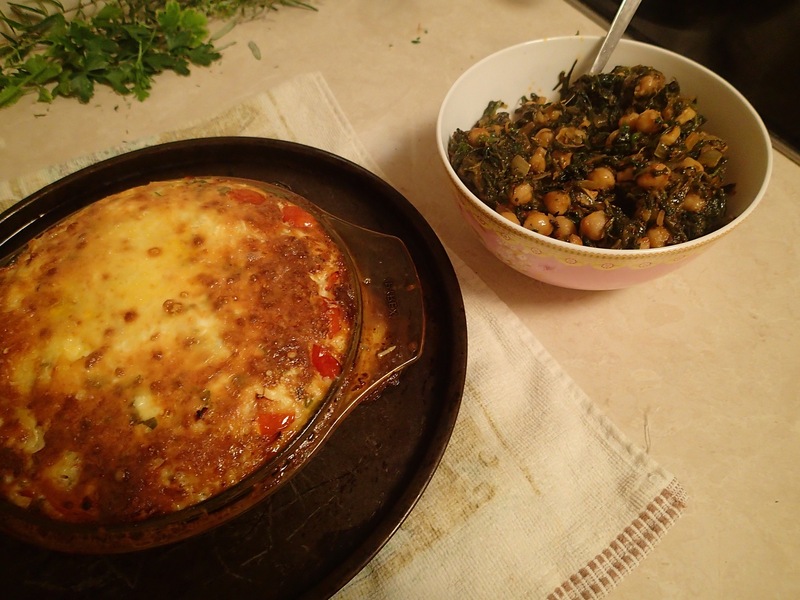 And a sort of frittata with a side of chickpeas with spinach. 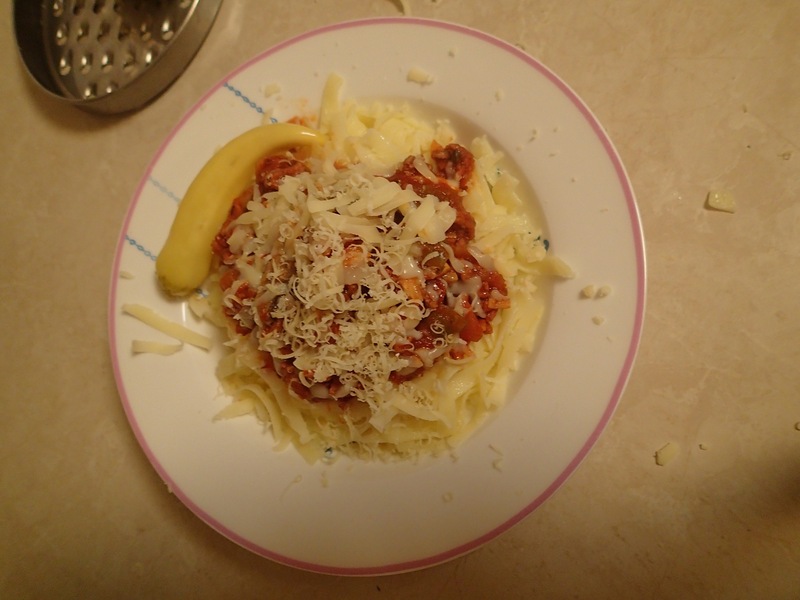 Little bit random this meal, but it was actually really delicious.